iMovo has successfully completed a customer service project for Surrey County Council in the United Kingdom. 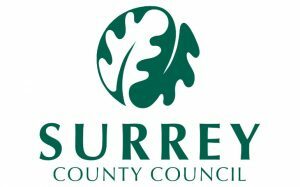 Surrey County Council provides various citizen-focused services such as road maintenance, waste disposal, social care as well as public libraries for use by the residents of Surrey County. The council is leading the local government sector by building on the work of the UK Government Digital Service and aims to provide flexible, responsive and efficient services for its residents by focussing on joining common processes, data and technology across all services. Utilising Zendesk, iMovo implemented a multi-channel citizen service solution at the council’s call-centre, to efficiently manage citizen enquiries from multiple touchpoints including phone, email and SMS. iMovo’s team of experienced consultants also assisted Surrey County Council with the enhancement of its internal work processes by creating automated workflows, configuring new support channels and employee training. Read more about what Surrey County Council have to say about Zendesk and how its enhancing its citizen services. This is what Surrey County Council have to say about Zendesk.